Full Price: $ 39.95 51% off! 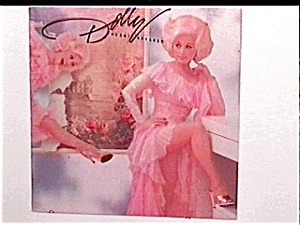 Dolly Parton 1978 LP record, Heartbreaker, RCA AFL1-2797, Cover and record in Near Mint Condition, with a fold out cover with a beautiful large picture of Dolly inside. Wonderful old songs including, 'Heartbreaker', 'Sure Thing', 'Baby I'm Burnin', 'Nickels and Dimes', and six other great songs. Click on the picture for additional views. Priority mail shipping and insurance for this item is $9.50 in the U.S. We use the Goldmine Record Album Price Guide as a reference for grading and pricing records.